When you are looking for a Canyon Lake speech therapist for your child, there are multiple options. However, most of them require you to take your child to a speech therapist’s office or clinic. At Lil’ Chit-Chat, we come to you! There are so many benefits to in-home speech therapy for children. First of all, like we’ve discussed in this blog before, we believe strongly in family involvement. The more parents, family members, and caregivers are involved with and understand what we are doing in our speech therapy sessions, the more equipped they are to help reinforce what the child is learning and working on. This provides much-needed consistency for children in speech therapy, and also speeds along the process. Second, we believe children, especially very young ones, learn much more easily in their home environments. Many pre-school aged children suffer from some form of separation anxiety, and having a pediatric speech therapist come to your Canyon Lake home keeps you from having to drop them off at a strange place and hand them over to someone new. When you use Lil’ Chit-Chat for speech therapy, your child is in his or her familiar surroundings, with you or a regular caregiver present. This situation greatly decreases the time it takes for your child to become comfortable with the speech therapy and the therapist. Your child will most likely progress more quickly and be more comfortable with the entire process. Also, when you go to a speech therapy office or clinic, the speech therapist will use the materials and toys in their office to support the speech therapy being offered. 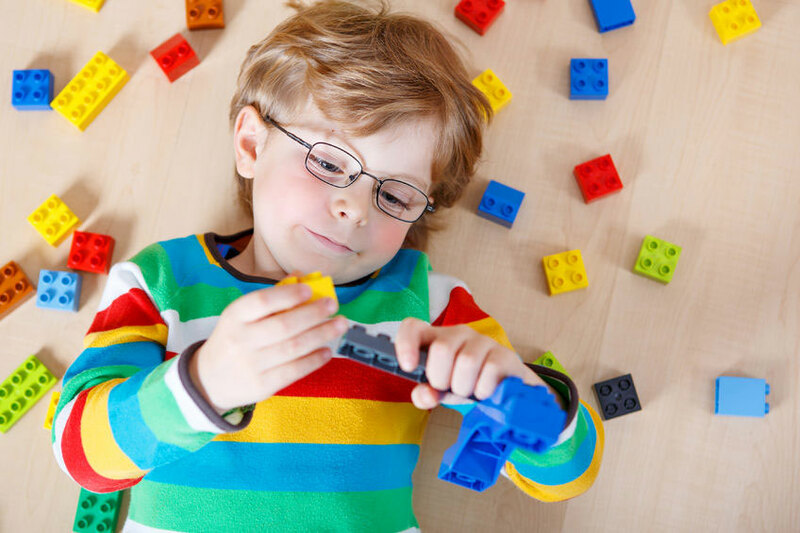 Since you likely don’t have those same toys at home, it is difficult for you to reinforce some of learning that takes place in the speech therapy session. When a speech therapist from Lil’ Chit-Chat comes to your Canyon Lake home, we do bring some of our own learning materials and educational toys, but we can also utilize the toys you have in your home in the speech therapy session. That way, you and any caregivers can continue to work with your child and support their development using those same play materials in between speech therapy sessions. Another benefit of in-home pediatric speech therapy is that it is convenient for you and/or your child’s caregiver. We work with a lot of work-from-home parents, who would find it difficult to leave their home office for several hours during the day, sometimes multiple times during the week, to take their child to a speech therapy appointment. When you have a speech therapist from Lil’ Chit-Chat come to your Canyon Lake home, it saves you a great deal of driving and waiting time, while still receiving quality speech therapy for your child. Similarly, if you have a nanny or other childcare provider in your home watching your child while you are at work, they don’t have to be responsible for getting your child to and from his or her speech therapy appointments when you use an in-home speech therapist. Overall, it’s just a more convenient situation to have a pediatric speech therapist come to your home. Even if you aren’t a working parent, we know that leaving the house with a young child is no small ordeal! And if you have multiple children, there is the issue of keeping the child that is not in speech therapy entertained in an office waiting room while you wait. In-home speech therapy just makes for a less stressful situation for everyone involved. Maybe you’re not sure if your child is in need of speech therapy. One of our licensed speech-language pathologists would be happy to come to your Canyon Lake home for an evaluation of your child. After the evaluation, we can make therapy recommendations for your child based on his or her specific needs. Contact us today to schedule an evaluation for your child. We also serve families in the cities of Menifee, Lake Elsinore, Murrieta, and Temecula.